In March this year, a few cities in the Netherlands acknowledged and celebrated Dutch Happiness Week. This is an initiative of Fontys University HRM and Psychology students, which began in 2015 in Eindhoven. A leading theme, ‘the economy of happiness’, in these departments was the motivation behind the initiative. Last September, an initiative of two Dutch women saw the kick-off of the International Week of Happiness at Work. Throughout the Netherlands, a number of municipalities and organizations sponsored various events around this theme. This year it will grow, I’m sure. I hope. We certainly put enough attention to the problem each year in November, with the Week of the Work Stress. For good reason, as stress is the number one occupational challenge in the workplace in the Netherlands. A misperception of happiness at work? But what is this often elusive state of happiness in the work space actually? It seems many of us are in pursuit of it but defining it seems to be a bit more problematic. When one of our KVC app respondents replied to a question regarding their happiness at work score (6/10) with ‘I don’t really emotionally recognize the feeling of happiness’, it set me to thinking. Are we misleading people with the concept of happiness at work? It’s not that I believe we shouldn’t be expecting to be happy in our work. To the contrary – I believe it’s fundamentally necessary for thriving employees and workplaces. It’s just that I question whether people understand what’s behind the phrase ‘happiness at work’. Happy people are portrayed in advertising, television and movies with smiling, laughing faces, having loads of fun. Is this somehow the perception people expect to see in the workplace, if they are truly happy at work? Often employers think, they’re getting a paycheck aren’t they? They should be happy with that. And maybe in my parent’s generation (or even my own, seeing I’m now in my mid-60’s) that was the case. However, younger generations aren’t ‘buying’ that platitude anymore. They know that money can’t buy their happiness. The word for happiness in Dutch is ‘geluk’. It has two meanings. One is happiness and the other is luck. So ‘gelukkig werken’ is a concept that doesn’t seem to resonate for many Dutch. It’s not only about ‘hedonic well-being’ portrayed by the media: that of “increased pleasure and decreased pain leads to happiness”. 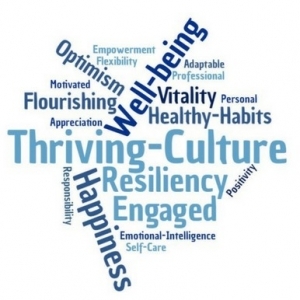 What is needed for a thriving workplace? One of our partners, the HappinessBureau, has created the P3F model. This about sums up what is needed. Purpose: You are happier at work when you have the feeling the work you do is meaningful and you are making a positive contribution. Flow: Every day you are able to use your talents, see progress and receive recognition and appreciation. Autonomy plays a significant role in how you use your talents. 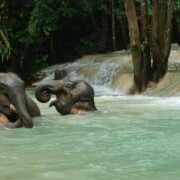 Being immersed and absorbed in the task at hand, is part of flow. 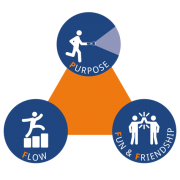 Fun & Friendship: Maintaining good relationships at work and sharing (in) positive moments. Happiness@Work is about how you ‘feel’ about your work and the feelings you derive from your work. 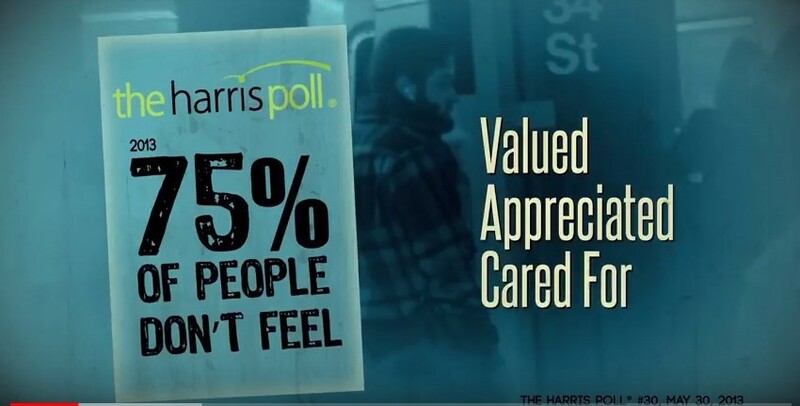 If you ‘feel’ you are contributing, are valued, are seen, are appreciated, well then, you can give yourself a 10/10 for your happiness@work score. Most organizations have a long way to go, to ensure their people are thriving. Step up sooner, rather than later, is my advice. The war for talent isn’t going away any time soon. 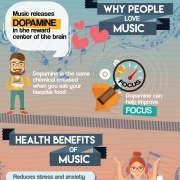 Some interesting facts, in the infograph below by webfx.com, on the benefits of music in the workplace, not only for productivity but also for well-being and engagement. In a Forbes article I found an answer to a question I posed to myself after reading this infograph: Can listening to music (with headphones) in the open flex work areas which have become so prevalent, help those employees sensitive to the excess stimulation they experience in these environments? It turns out, it can and does. 6 weeks ago, we entered a new calendar year. 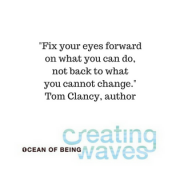 Fixing our eyes forward, I’m wanting to share with you some inspiring words of wisdom to continue into 2019 with a different mindset, a different perspective, and perhaps with more grit, creativity, and resiliency. New Year’s resolutions, goal setting, and good intentions are on almost everyone’s minds. We know that the majority of us will have given up on our resolutions before this first 6 weeks passed. At which time, your inner critic, that voice in your head, starts calling you on the fact that you’ve failed, again. In the spirit of keeping it truly short and sweet, I’ll quote my husband. René greets the start of every day, and I do mean every day, along with most people he sees (including me) with: “it’s a new day, a new chance”. He’s done this for so many years, I’ve actually forgotten when he started. The staff in the fitness club where he works out every morning, have heard this so often, greet him with these words. It’s become almost a competition: who gets to say it first. But what do these words mean? For me, they mean that we don’t have to wait for a ‘new year’ to make changes. Even if we ‘shortchange’ ourselves by giving up early on our New Year’s resolutions, if they are important to us, it means we can start a New Year every day of the year. There is an expression that says “this is the first day of the rest of our lives”. Make each day, that first day. And if you fail today, then wake up tomorrow knowing you have another chance to get things right. In fact, you have 365 chances to get it right. Don’t beat yourself up, if you don’t make your resolution a reality. Take each day as it comes. Failure is only failure if you don’t attempt again. Giving up is failure. As Cyriel Kortleven says, think about your failures as ‘Nearlings’ – as in ‘I nearly made it’. Not so bad, right? Stay focused on what you want to achieve. When you lose your focus, regain it. This will mean that you ultimately reach your goal, whatever it may be. Did you ever stop to realize that our thoughts create our reality? That they even create and change our physiology, our internal chemistry? After you read this article, you will be a changed person. That’s my promise to you. Awareness is the first step to change. Since after you’ve read this article, you will know how thoughts trigger reactions in us, then forever more, you will have the personal responsibility to ensure that your thoughts, your thinking, will support you. You will be ‘response able’ as Stephen Covey said. The quality of our thoughts impacts our lives. Everything from our stress levels and general health, to the progress we make in our professional lives and relationships. A number of years ago National Science Foundation researchers estimated that an average person thinks approximately 12,000 thoughts per day. 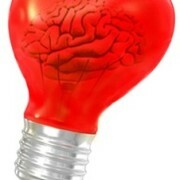 A deep or creative thinker up to 50,000 per day. Other estimates run as high as 60,000/day. Break it down – that means 8 to 42 thoughts per minute. PHEW! I’m tired already. And how much of that thinking is supporting us? Creating health? Boosting our immune system? It’s a huge opportunity to make ourselves ….miserable…. and it appears that’s what we do, really well. Estimates say between 70 – 80 % of our thoughts have a negativity bias. Researchers have found out that our brains are hard wired to register and remember negative events more quickly and deeply than positive ones. This was good when we had to be alert for lions lurking around the corner and to avoid possible dangerous situations but not so handy in today’s world. Today, the snake turns around to bite its own tail. What happens when a not so supportive thought occurs to us. Let’s take a thought such as: “she doesn’t like me anymore” or “I’m going to lose my job.” Short little sentences but what an impact they can have, if we let them. Or how about our internal critic, that brain ‘voice’ that tells us how incompetent we are, how unworthy we are…You’re getting the picture, right? The moment we utter fearful sentences such as this either in our head or out loud, the reaction gets transferred via electrical impulses which race along our neural pathways. At the same time, elsewhere in the brain, signals are being sent to the areas where hormones are made. Almost instantly, hormones such as adrenaline and cortisol are being pumped into the bloodstream. Betwixt and between about 1400 biochemical signals and processes are taking place. Everything is happening so fast. Electrical signals in the neural pathways cause our muscles to contract, our heart rate and blood pressure increase, just to name a few. As a fearful thought loops around and around in our brain the effects manifest themselves everywhere. If it’s an especially fearful thought, we lose our ability to think clearly for 4- 6 hours. Our immune system is compromised for up to 6 hours. As I mentioned at the start of this article, the first step is awareness. And that is what has been created here in each and every one of you. We need to truly practice mindfulness, ‘hear’ our thoughts and make a decision as to whether this pattern of thinking is supporting us or not. If it’s not, then the responsibility is upon you, and only you, to decide how to deal with it. We don’t always get to choose what happens to us, but we can choose, we must choose, how we will react. Once you are mindful you are able to ask supportive questions. Asking yourself ‘why’ questions keeps us focused on the negativity, often in a victim role. 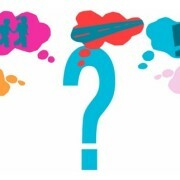 Ask yourself a ‘how’ question and you’ll see new opportunities unfold. It’s all there for the asking. You just need to be aware. To be ‘response able’ and choose for possibilities. Will you do this? 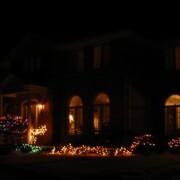 For many of us, the holidays, which are fast approaching, are a stressful time. Holiday stress manifests itself in a multitude of symptoms due to a variety of causes. Here is a tip that can help you celebrate the coming days in full holiday cheer: behind any one of your energy draining stressors, lies one or more needs that aren’t being met. If you can identify the need or needs not being met, you can then do something about it. If you choose to. The needs which are important to us, developed over time. Your experiences, beliefs, thoughts, attitudes, fears, values all contributed to how you react when a need isn’t being met. Not all family get-togethers are occasions of joy, peace and harmony. Holiday music can be very misleading. It’s an interesting concept – that just identifying an unmet need can help you turn around the energy depletion that occurs in its absence. It takes the significance out of the situation to know what is behind your reaction. Of course, every personal development change in life starts with awareness, so why should this be any different? Well, it’s not. Develop an awareness first, to which needs are important to you. To help you do this, here is a Needs List which you can find at this link. Choose the 10 top needs for yourself from this list (if they’re plentiful in your life, don’t choose food, water, air etc.). Then from this top ten, whittle it down to a top five. Then from this top five, choose the one need that is MOST important to you. You now have a workable list. Take the items on the top ten list and make a copy of it. Carry it with you. Over the coming weeks, whenever you’re triggered by an energy draining emotion, take this list out. As soon as you’re aware of the energy draining emotion, ask yourself what need isn’t being met. Look first to the most important need in your life. Is this the reason for your im/ex-plosion? If not, look further down on your list. In all likelihood, the why behind your reaction will be on this list, because it’s absent in your life. A final piece of advice. In order to stimulate awareness in how you’re feeling, it may help you to ask ‘what do I need now?’. Call upon your inner wisdom in the situation. Once you know what you need – ask for it. Don’t demand it and don’t expect the other person to know why you feel the way you do. Ask for the need to be met in a non-judgmental, non-accusing manner. What I need right now is ——-. Start practicing now. You will have a wonderful resource at your fingertips to help you find enjoyment amid all the hustle and bustle. Happy Holidays! Have you ever been guilty of reading someone’s mind, assuming you know what the other person means? Have you created fiction for yourself from something you heard someone say? Have you jumped in, offering your two cents worth, not knowing the whole story and ending up with the proverbial foot in your mouth? Have you ever been offended and not taken the time to ask for clarification? Oh what conflicts are caused by ineffective communication. And conflicts of course lead to stress, usually for both sides. They often lead to long term grudges as well, which are hugely toxic to us physically, mentally and emotionally. There are many aspects to communication and we assume we do them all equally well. What we don’t know is just how ineffective we can be in both communicating what we really want and hearing what the other person needs. We think we know how to communicate. After all, most of us are pretty literate. We know how to speak, write and read. The first question I ask is, do we really know how to listen? I fear not. The reasons are many and they are somewhat complicated. They have to do with how our brains function. We carry our own baggage into conversations. Our past experiences, needs, values, language, self-image, beliefs, prejudices, attitudes, wants, fears, mind-sets all influence what we hear and how we interpret what we hear. It’s a long list. Our brain filters the information it receives based on all of these factors. We think we know what the other person says and means but we can never, ever truly stand in their shoes. Your reality won’t be, can’t be, their reality. Have you also ever noticed how as someone is speaking, we’re already formulating our responses in our brain? There is a constant barrage of thoughts or judgments. We can’t wait for the other person to stop talking, so we can make our point. If this is so, how can we be listening coherently? From our hearts? Really effective communication is like a couple dancing in total harmony with each other. It can be learned. But it takes a lot of practice. And we’ll make a lot of mistakes, before we master it. In my work of teaching others how to develop more emotional agility and hence resiliency in stressful situations, I share how one can become coherent in the moment using their breathing. In past articles I’ve elaborated on this theme. Even in the midst of a conflict, slow and deep breathing opens up a gap between a stimulus (what someone said or did) a.k.a. the stressor, and our response. Instead of the knee-jerk reaction we’re so used to, it allows us to respond with supportive choices in the moment. There is a physiological reason for this: a brain that isn’t engaged in emotions like anger or fear is a brain that can think logically and creatively. That brain helps us find more helpful ways to look for the win-win in situations. Best of all would be preventing conflicts from occurring. Marshall Rosenberg, a U.S. psychologist, developed a method he calls Nonviolent or Compassionate Communication. Those who practice this way of communicating learn to resolve differences peacefully. It teaches us how to connect compassionately with ourselves and with others. It’s useful in both personal and business conflicts. If you’re not clear what someone meant, don’t assume, don’t guess, don’t mind-read. Show your vulnerability and ask for clarity. You can save yourself a lot of heartache and a lot of stress. Getting to know yourself is one of the greatest gifts you can give yourself. Paying attention to your thoughts, your feelings, to the bodily sensations created by these same thoughts and feelings to increase your awareness. If you know what direction your thoughts are leading you, if you’re aware of the tension these thoughts may be imposing upon you, then you can start creating other thoughts and making choices that support you. Napolean Hill’s quote: “most people are the servants and not the masters of their emotions”, tells us that what we lack is self-awareness. Another quote from him illustrates this also: “Life either rides or is ridden. It never stands still. What choices you make determine whether one becomes the horse or the rider.” A powerful metaphor. In order to make choices that ensure you are ‘life’s rider’, you must take the time for self-reflection. And what better way than by immersing yourself in solitude, even if it’s just for a few minutes each day? 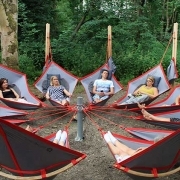 In these days of being constantly electronically connected to the world, with noise pollution a common factor, finding time to connect to ourselves isn’t something we can take for granted. We need to plan for it. A while back, I was having lunch with a friend and she commented on how addicted she was to checking her emails and especially her telephone for text messages. Both of her daughters are in their 20’s yet still she needed to feel connected, at all times. But what she had come to realize, is that she had very little time without distractions. She promised herself then and there that she would take one day of the week to commit to being ‘offline’. Laptop out, mobile out. Contemplatively enjoying the time alone, with just herself for company. Disconnected for one day might be a big stretch for many of you. It would be for me. So plan carefully when and what you can give back to yourself. It’s the best gift you can possibly give to the person who is most important in your life – you! Remember that as you ‘indulge’ yourself in this practice, you are re-wiring your neural hard wiring. As you increase your awareness in these moments or hours or during a day, you will notice that you’re more alert even during the busyness of your day. You will be able to bring yourself back into a harmonious state much more quickly when confronted with one of life’s many challenges. And remember in these precious moments, to go to your heart, breathe deeply and slowly in and out and activate a ‘feel good’ feeling for yourself. You are worth it. More than you might even know. http://www.creatingwaves.nl/wp-content/uploads/2014/10/Heart-brain-connection-e1414508976494.jpg 272 200 admin http://www.creatingwaves.nl/wp-content/uploads/2014/04/Schermafbeelding-2014-06-09-om-09.29.59.png admin2018-09-20 09:16:032019-02-16 15:27:10Know Thyself! Safety, Appreciation and Trust. 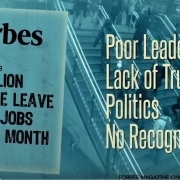 Why are these qualities needed to ensure that employees flourish? What is it about these basic human needs, which makes it so important for organizations to recognize how toxic the environment is when they aren’t in place? Much has been said regarding the importance of trust in the workplace, in building relationships that thrive. Yet trust remains elusive in most organizations. As a leader, if your people don’t trust you or each other, then you must know you aren’t getting quality performance from them. A lack of trust creates a culture of fear and fear will only motivate for mediocrity. Neuroscience knows that when we don’t feel safe, the pre-frontal cortex goes into shut down mode. It’s where we do our creative, logical thinking. Shutting down as a response to fear, narrowing our focus, is part of our human survival mechanism. In the documentary ‘Everybody Matters‘, for those of you who aren’t interested in the human side of business, Simon Sinek says in an interview, that there are enough business reasons to adopt measures for caring: “People who like coming to work are more productive. People who feel safe amongst their own, who can trust the people they work with, are more likely to offer bigger ideas, take better risks, be more innovative and be more productive.” What isn’t to like about this? What is one simple step you, as a (personal) leader, can take towards creating a higher trust culture within your organization? Well, organizations are comprised of organisms (in this case, people). A thriving business is built on thriving relationships, both internally and externally. The answer to my question is simple as well: value your colleagues by showing you care. Give recognition for work well done or for a small gesture of collegiality! There is no large investment of time, energy or other resources needed. Honest, sincere, and clearly stated appreciation will earn you huge credits in the trust department. The image here gives a good indication as to why you might want to address your culture of (dis)trust sooner, rather than later. Barbara Fredrickson, a distinguished Professor of Psychology at the UNC Kenan-Flagler School of Business, has developed a theory called the Broaden and Build Theory of Positive Emotions. Her research shows that negative emotions narrow our focus. Positive emotions such as gratitude broaden our attention; they broaden our awareness and they help us to be more creative and more cognitively flexible. As an extra benefit, one of the variables for resilience is mental agility. By adding positive emotions to your daily interactions, you create greater resilience in yourself and in others. If you still think there isn’t a reason to create attitudes of gratitude for happier, more trusting and highly engaged workplaces, please go back to the quote above by Simon Sinek. To paraphrase a statement by Bob Chapman in the documentary ‘Everybody Matters’: What a difference it would make if businesses would focus more on human value, than on shareholder value.